Spectacular Mexican Lake House, comfortable, spacious, elegant, quiet, relaxing! Beautiful Mexican lake house with great mountain views. Spacious gardens with BBQ area and heated swimming pool. Volley ball and mini soccer fields. Beautifuly decorated bedrooms. Tv area, ping pong play room. Nice fire place in the living area. Fantastic walking areas. Perfect for a relaxing getaway with family and friends. Daily housekeeping and cooking included, Tips not included. Just one and a half hours from San Miguel de Allende and one hour from Mexico City. Smoking only allowed on outside areas. Only 1 hour away from Mexico City Int'l Airport. Presa Escondida in Tepeji del Rio is a great complex with a beautiful lake. Just 30 min away from Tequisquiapan, 1 hour away from Queretaro and 1 1/2 hours away from San Miguel de Allende. All great areas for a fantastic day trip. Enjoy a once in a lifetime experience in this spectacular mexican house. An unforgettable vacation with family and friends! 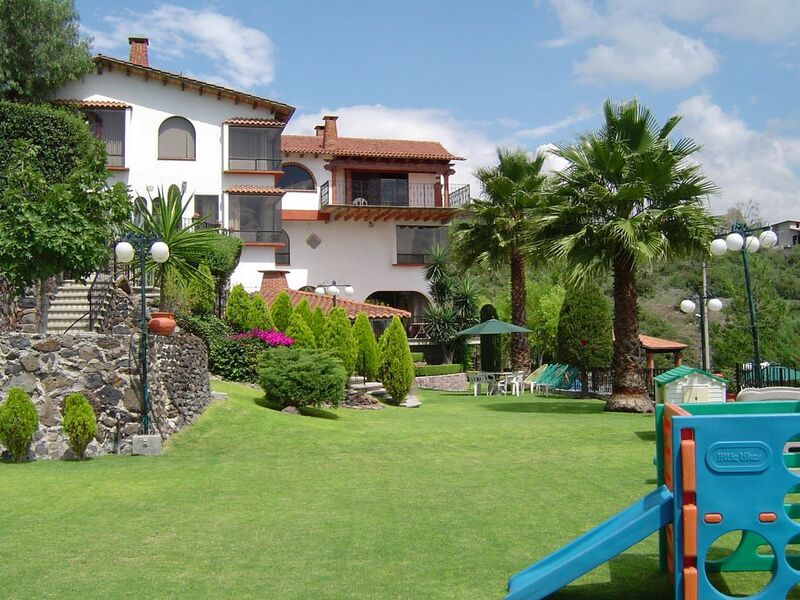 Golf: There is a 9 hole golf course just 15 min away from Presa Escondida. Beautiful golf course surrounded by mountains.